John P. Walters was sworn in as the Director of the White House Office of National Drug Control Policy (ONDCP) on December 7, 2001. As the nation's "Drug Czar," Mr. Walters coordinates all aspects of federal drug programs and spending. Mr. Walters has extensive experience at ONDCP. From 1989 to 1991, Mr. Walters was chief of staff for William Bennett, and was Deputy Director for Supply Reduction from 1991 until leaving the office in 1993. During his service at ONDCP he was responsible for helping guide the development and implementation of anti-drug programs in all areas. During that period overall federal spending for drug control programs increased by 61 percent. By 1992, drug use in the United States reached its lowest levels in the past 23 years. There's no way to ever win against the Taliban if the heroin trade is left to flourish. By John P. Walters, David W. Murray. | November 22, 2017, 10:50 AM. Afghan security personnel destroy an illegal poppy crop in the Surkh Rod district of eastern Nangarhar province on Apr. 5. (Noorullah Shirzada/AFP/Getty Images). Lab Report: Will the White House Opioid Commission Help? Cathy Fennelly's son, Paul, fatally overdosed earlier this year from fentanyl-laced heroin. At a press conference last month to announce proposed legislation making fentanyl trafficking a crime, Fennelly held up the death certificate for her son. By William J. Bennett and John P. Walters September 08, 2015. 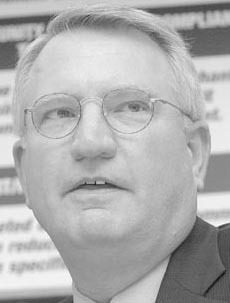 John P. Walters, director of drug control policy under President George W. Bush, wrote on what he views as an inconsistency between libertarian philosophy and support for ending the war on drugs. He claims libertarians get it wrong on drugs. Mr. Walters gets it wrong on drugs, as well as on libertarians. He noted the administration of President George W. Bush, through its drug czar John P. Walters, was “extremely hostile” when Canada attempted to decriminalize cannabis possession and make it a ticketable offence in 2003. “And that was probably one of the reasons the legislation didn't go through. In a new Weekly Standard essay, former drug czar John P. Walters explains why the idea of legalizing drugs is "Dumber Than You May Think. ... of the addiction and overdose crisis, according to John P. Walters, former director of the White House Office of National Drug Control Policy. By David W. Murray, Brian Blake and John P. Walters*. Recent reporting indicates that the Federal government will be taking a more serious approach to the marijuana threat and the enforcement of our nation's drug laws. Hudson's Chief Operating Officer and one of the authors of the article is John P. Walters, who served as Bush's "Drug Czar" from the end of 2001 until Bush left office in 2009. Thanks to advances in science, we have never known so much about the effects marijuana use has on the human body, particularly, the fragile brain. America's "Drug Czar," John P. Walters, director of National Drug Control Policy, met with U.S. Rep. Mike Sodrel, area prosecutors, police, sheriff and judges in Columbus to discuss taking control of the methamphetamine epidemic. On February 9, former Secretary of State George Schultz proposed decriminalizing drugs as a strategy superior to prohibition. Specifically, he argued that young peoples' fear of arrest for using drugs such as marijuana deters them from seeking treatment. John P. Walters is the Hudson Institute's chief operating officer and former director of drug control policy for President George W. Bush.